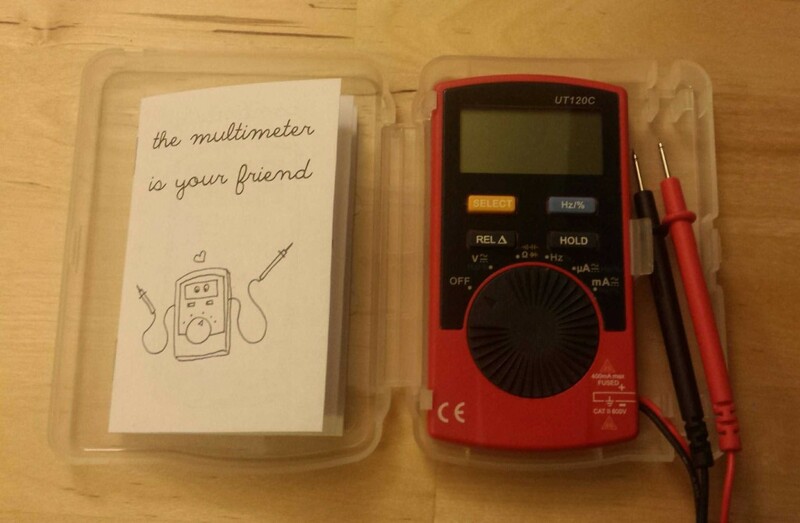 Here’s a little printable how-to booklet on using a multimeter! 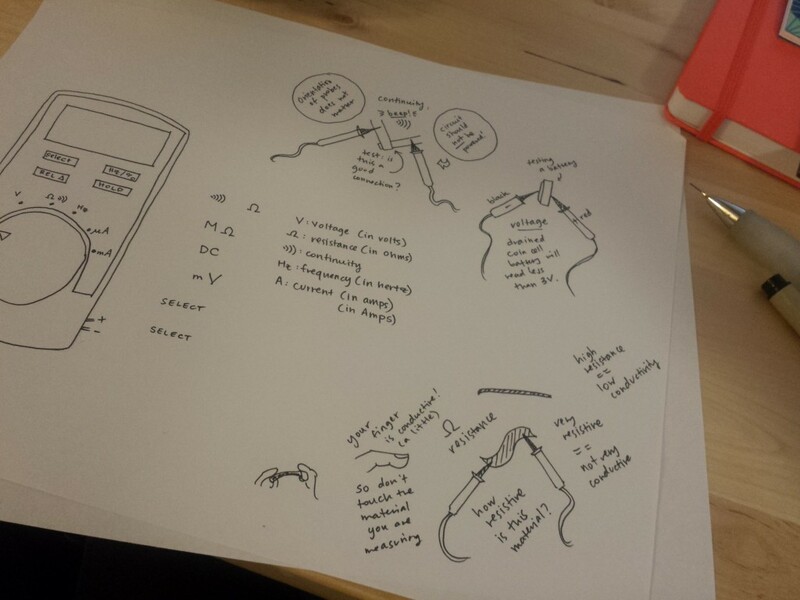 It’s not exhaustive of course, but is hopefully a useful and not-overwhelming start for troubleshooting circuits. 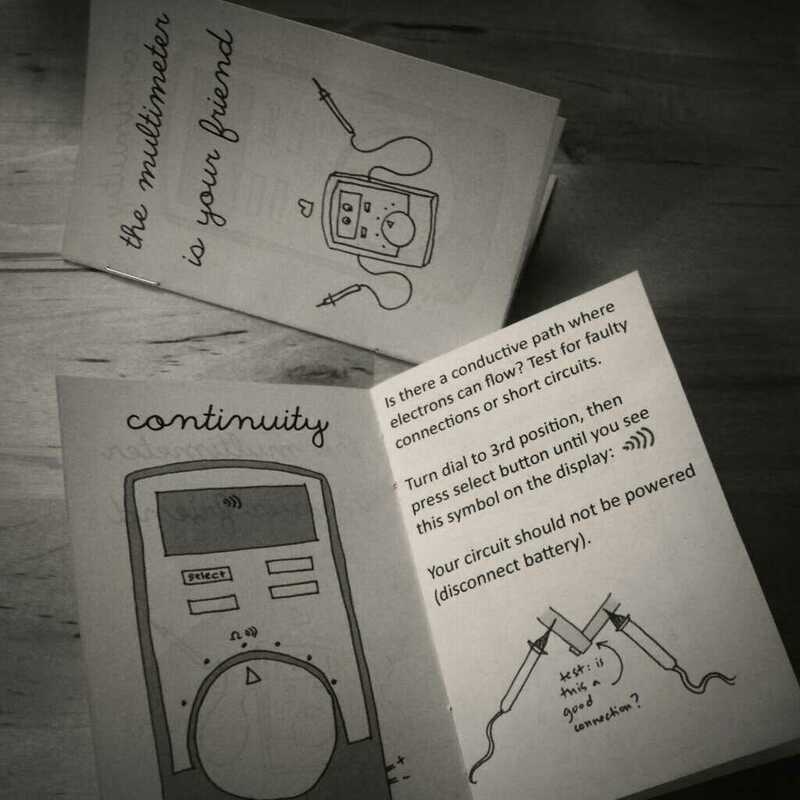 Illustrations focus on paper circuits. Multimeter pictured below is the Etekcity UT120C and I like it so far, it’s nice and small and has its own case which this booklet fits into. My process at the moment is to draw things in ink, scan them, and then wrestle with a few different programs for layout. For this one I used Pages, Preview, and Pixelmator. The cursive font is called “The Only Exception” and is from Kimberly Geswein Fonts.